As Jews, we know that what matters most is what we do. That’s right. More than what we think, more than what you say, and more than what we believe or don’t believe, what matters is what we actually do. That’s why the Torah is big on mitzvahs. Because beliefs don’t always inspire our actions. Sometimes, it’s the actions that shape our attitudes. When we practice sharing with another, we become caring. When we get into the habit of giving, our worldview changes. Jews are the most philanthropic people. The Torah trains us to give every day, no matter our means. It reminds us that there is always someone we can help. It asks us to think of the individual who has less than we do, and share with them. And in doing that, we cultivate humility, kindness and love. With the new year fast approaching, make that commitment to give charity every single day. Keren Hashana, an unusual charity, makes that commitment fail-proof! In fact, it will actually do the mitzvah for you while you get the credit, every single day! You write one check, and Keren Hashana will disburse tzedaka twice a day on your behalf to Chabad’s humanitarian, educational and spiritual outreach services. It guarantees that you will make good on your resolution from the first through the last day of the new year! 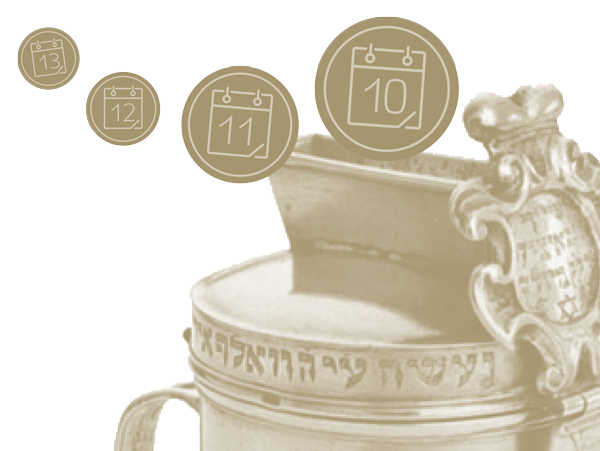 The Lubavitcher Rebbe of blessed memory established the Keren Hashana Fund more than 60 years ago to ensure that every one of us exercises our G-d given ability to bring blessings to others, every single day. No matter what you claim, what you believe or what you think, giving tzedaka every day actually makes this world a better place. And it makes you a better person. At Chabad-Lubavitch Headquarters, we’re trying to do everything in our power to make this a good, sweet year for those in need. Socially, educationally, spiritually, Chabad-Lubavitch is reaching Jewish people everywhere and anywhere in the world with warmth, sweetness and blessings. Partner with us. Together we can make this world a kinder place. Together, we each become better people. one-time donation in multiples of 385 (the number of days on this year’s Jewish calendar), and Keren Hashana will disburse tzedaka on your behalf, to all of the causes that depend on our support, at least twice a day. May the year ahead bring goodness and sweetness, good health, life and prosperity, to you and your loved ones.